You must make reservations at least 5 minutes in advance of the time at Reynolds Tavern. We are conveniently located on Church Circle 1/2 block from Gott's Court Parking Facility (Visitor Center Parking Garage). We feature Live Music in our 1747 Pub Wednesday - Saturday evenings. 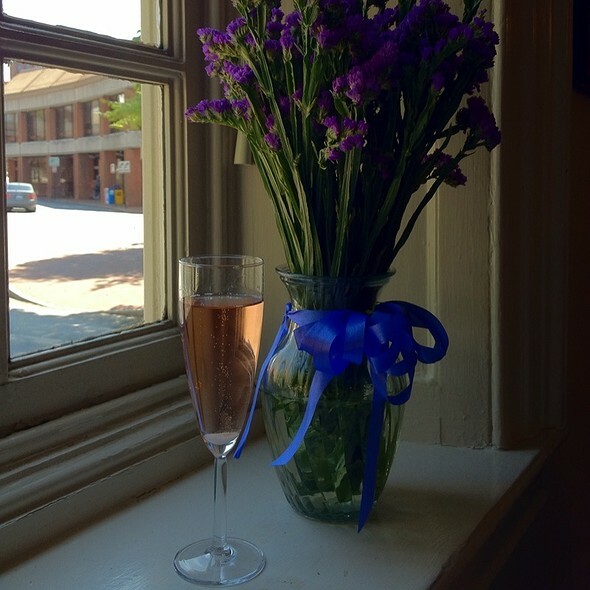 Reynolds Tavern hosts intimate Wedding ceremonies and receptions, Rehearsal dinners, Business dinners, Afternoon Tea parties, luncheons, etc. 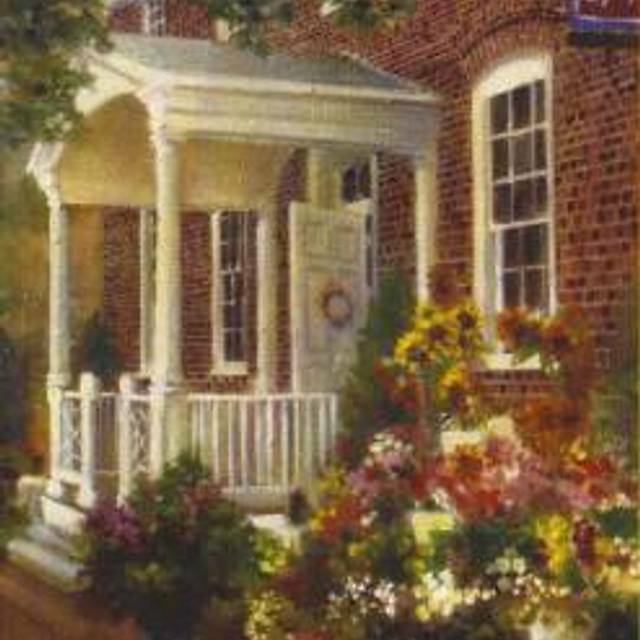 Welcome to Reynolds Tavern; one of the finest examples of Georgian architecture in Annapolis. Situated in a prominent position on Church Circle it is convenient for the historic district, shops, restaurants and the United States Naval Academy. The building has been restored beautifully to reflect the working nature of the tavern and the elegance of the 18th Century. Reynolds Tavern is the oldest tavern in Annapolis and one of the oldest in the U.S.
Whatever your tastes, Reynolds Tavern has something to offer you. 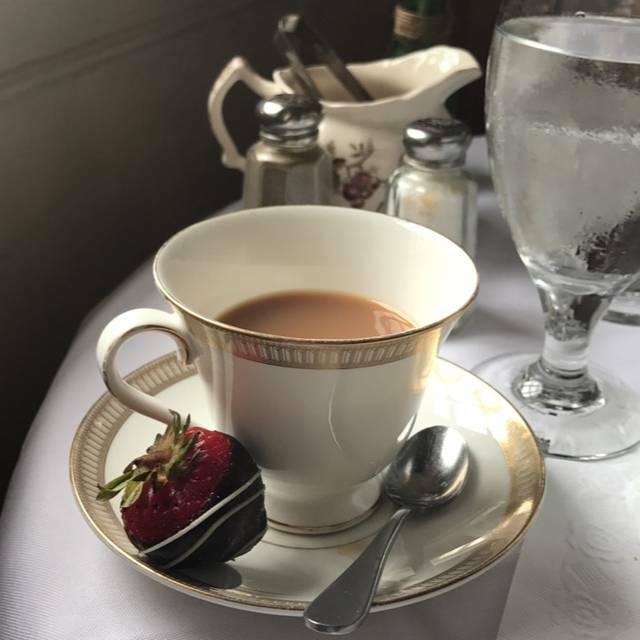 Reynolds Tavern serves a full lunch menu, English Afternoon tea daily from 11am -5pm and a romantic dining in the evenings. Please note that reservations are not accepted for the Beer Garden, nor the 1747 Pub. All of our Outdoor seating and Pub seating are first come, first served basis. Thank you! Great tea with daughter & two older granddaughters. Price is somewhat high for amount of food, so is special occasion place for us. However all was well done. There are some people that shouldn't be in the service industry. Out waitress, unfortunately, was one of them. Completely impersonal and borderline rude. Food was okay and overpriced comparee to what I was expecting. The restaurant is cute and welcoming and they have a good a drink selection. Having booked this from afar, it was very nice. surprised at low number of patrons, food was very good and had very personal service. Wonderful special occasion celebrated with a “high tea.” Looking forward to doing so again! Great service! Disappointed Crab cakes had a lot of filler. It was fantastic! Great food, amazing service, and a quiet and historic setting. A very interesting and historical building which dates back to the 18th century. Our party truly loved the overall ambiance of the restaurant and the food was quite delicious and relatively inexpensive. Our waitstaff seemed preoccupied with things in the outer hallway. I was forced to track them down a number of times. Other than that I would highly recommend Reynolds Tavern and I plan to return soon. Enjoyed tea there on a busy Friday afternoon. We were not the only ones enjoying tea, so it wasn't as quite as I'd like but no complaints from me. If I want quite, maybe I'll try a Mon-Thur next time. Tea items were wonderful and service was great. I've always liked this restaurant. What a lovely place to have tea! Our party thoroughly enjoyed our time there and we will definitely be returning. 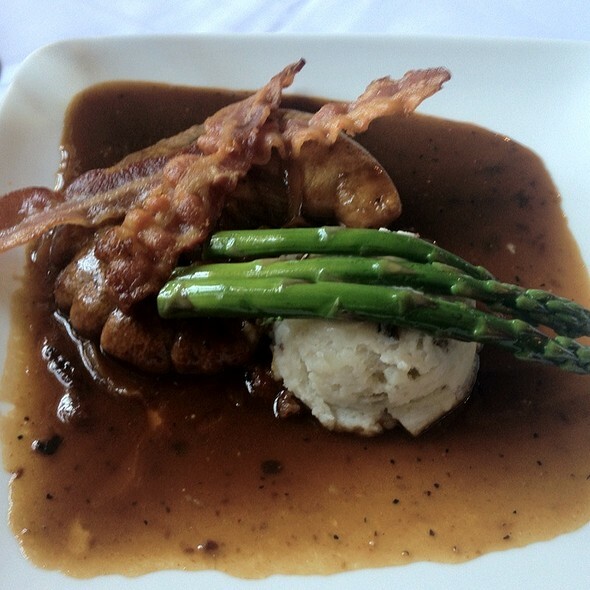 The food was delicious and the server was very competent and friendly as well as fun. Kudos to Reynolds. It was a very lovely place. It had live music(always a plus) and a very down to earth environment. I enjoyed it immensely. Brussel sprouts appetizer and scallops entree were delicious! Lovely room, fairly quiet, I would definitely return! Lovely, convenient, historic, and a good value for the money. We had an excellent server, and the tea and scone were delicious. I highly recommend Reynolds Tavern for a late afternoon tete-a-tete. Went for afternoon tea. Food was excellent but wait staff is slow. It took a while to place our order and on a day when there was not a lot of people there we waited quite some time for food. We didn’t see our waitress but a few times and we had to flag her down. She didn’t check on us. It was great! The only downside was two other parties were seated at the same time and all 3 of us were sat in one corner if a room. We could overhear their conversations and they got to be quite loud. The food was super good! 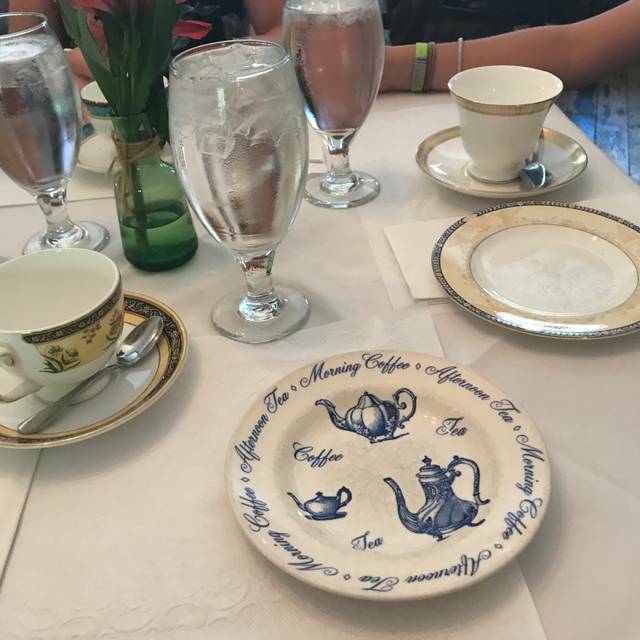 We all had the tea service and the food was great! The service was pretty good too! A wonderful spot for afternoon tea! Nestled in beautiful Annapolis Md. The food was excellent! We arrived almost 30 minutes early for our reservation but our server kindly let us sit at our table but explained that food service wouldn't be available until 5:30. No matter as we were able she was able to serve our wine/beer orders while we waited. She was first-rate -- despite also covering several other stations that day! Overall great! All the food was delicious. Definitely would recommend the meatloaf! Wonderful Colonial authentic restaurant with excellent menu and especially love the rockfish but all was good. 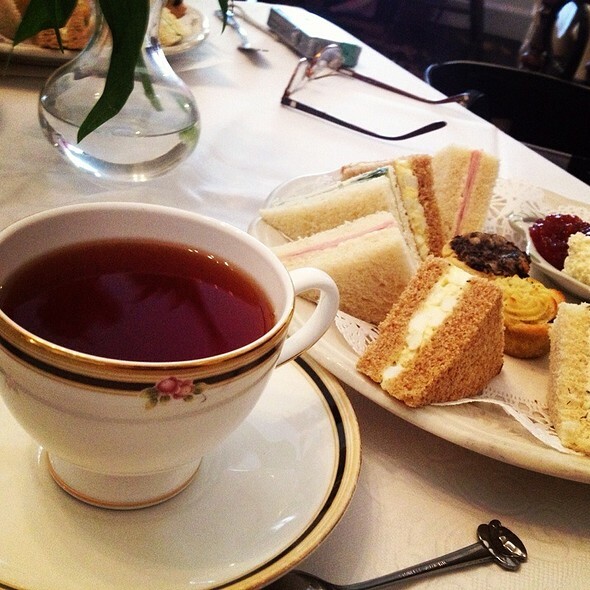 Wonderful afternoon tea! Scones are the best! Always a nice experience- love the menu items and specials. Food and service was outstanding! Will definitely go back again. We had planned to have tea but ordered lunch instead. 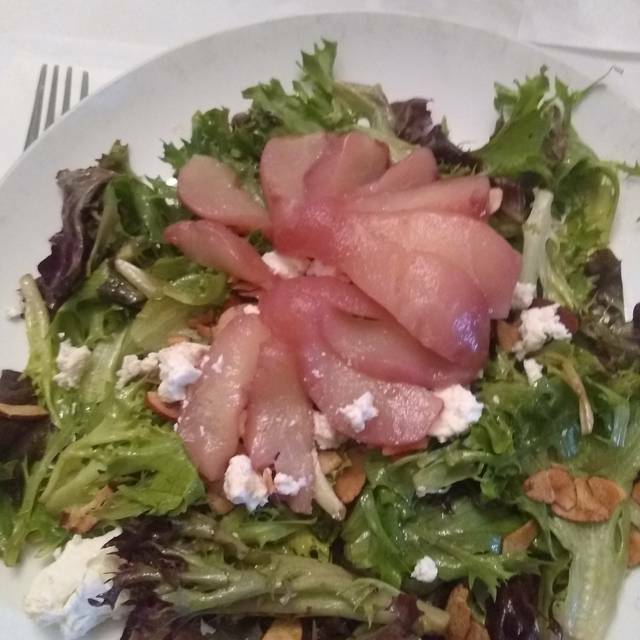 My friend liked her entree pretty well. My fried green tomato BLT sandwich was not good. The bread was hard and the whole thing was cold. Tiny tomato slice - only on one half and literally a sliver on the other half. All cold. Very disappointing. The caramel pound cake was good. I am a decades-long Annapolitan. Reynolds Tavern is one of my go-to restaurants. I make a point of choosing it especially when I want to focus on my conversation with my dining partner(s). I have never eaten anything that was not either very good or excellent. Service has always been great. I love the three different settings: main floor restaurant, lower level bar with pub grub, and outdoor patio in warm weather. The building is one of the historic treasures of our city, and it would be heart-breaking if Reynolds Tavern were unworthy of itswonderful setting. The great news: it passes the test every time with flying colors. And my granddaughters all know and love it as “the tea party restaurant” for its lovely afternoon tea! I was disappointed in the “savory tea” served to us. The presentation was unattractive, the small sandwiches were unimaginative on white bread, the tarts were overcooked, and the scone was not as dense as expected. I’ve enjoyed multiple teas elsewhere that far surpassed this lackluster experience. I was also disappointed that I was unable to get a pot of Rose tea- while some teas had rose in them they had other ingredients that diminished the flavor of the Rose. Service was good and the ambiance was pleasant. I see no reason to return for any kind of meal. The room was dark, although I enjoyed looking at the old teapots and dish ware for sale . Great food, service and atmosphere. A perfect anniversary dinner! Cozy atmosphere, welcoming staff, delicious food! Will be back! Love Reynolds Tavern for afternoon tea - love the history and the atmosphere here. Our server was excellent. My friend and I celebrate our birthdays here together every year and unfortunately, this year there was a noticeable reduction in the amount included with our afternoon tea trays but the price remained the same. Nevertheless- It’s a lovely place to enjoy authentic “high tea” with what seems like 50 different delicious brews to choose from. Buckingham Palace Garden Party is my favorite. We enjoyed our experience at Reynolds Tavern. We stayed in the Washington Suite which is roomy, but pleasantly cozy all at the same time. 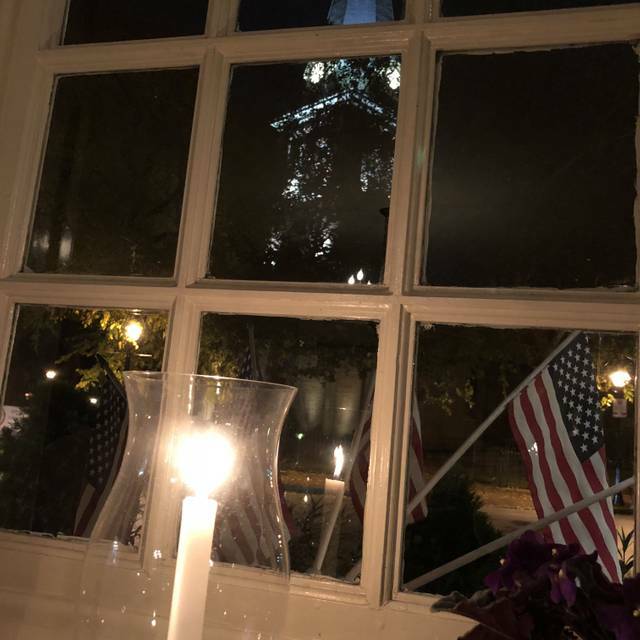 The church bells that ring faithfully every 15 minutes, did not bother us a bit and the view of the church steeple outside our window was breathtaking in the moonlight. We had dinner reservations, and the dining room provides space enough between tables that you can easily carry on a conversation. That is increasingly hard to find these days. The meals (Shepherd's Pie and blackened scallops) were tasty, but a bit heavy. Who needs a heavy sauce on yummy scallops? We normally seek out lighter cuisine, so this was probably just a matter of taste. Breakfast was fantastic...spinach omelette and oven fried potato with a choice of tea (at least 100 choices). Next time we would like to try one of the afternoon tea menus as this appears to be the specialty of this establishment. Recommendations would include offering an additional roll to go with the heavenly butter at dinner, and cappucino for those looking for an alternative to French Press. We would definitely recommend Reynold's Tavern as a unique fun couple's getaway. Great place for an elegant meal in a historic building. Food, service and presentation were outstanding. A great way to finish the evening is for an after dinner drink (or two) in the original pub downstairs. Tea was absolutely delicious and they allowed you to try different teas - Daydreamer and Peppermint teas were delightful. Vegetable quiche was absolutely delicious and the mini onion and spinach filo tartlets. Turkey Reuben was a hit as well! Was not impressed with the tea sandwiches as they were very basic and the pastries were flavorless minus the Hummingbird cake. Scone flavor of egg nog was non existent and a bit dry. Our second year there for Velentines day/ Anniversary dinner. Such a let down from the tear before. Food was so so at best. Service not much better. Will not be goin back. Would I recommend Reynolds to a friend? I ALWAYS do! I have tried several tea rooms around the DC suburbs & always come back to Reynolds for the best selection of teas and most scrumptious tea sandwiches, savories, and sweet treats. And nothing beats their creamy crab soup or their amazing quiche - I’m always tormented by the choice. Tea lovers? Anglophiles? Ladies Who Lunch? Queenies with their Princesses? REYNOLDS NEVER DISAPPOINTS! The food was fabulous. More of a ladies venue, we didn’t see one male customer. The setting is historic and charming; the presentation of tea and food items is lovely and the service is caring, but not overbearing.